Welcome to your new role as co-editor of the Recipes Project, Jess! Tell us a bit about your own history with the RP. I first contributed to the RP in 2014, when I wrote two pieces on beauty production in the Victorian home. Editors then gave me the opportunity to organize a series on Beauty Recipes, which included some fascinating guest posts on Muslim women’s cosmetic use in the medieval period, perfume production in eighteenth-century England and France, and hair dyeing in nineteenth-century America. My own piece for that series, which featured in September 2017’s “Tales from the Archives,” considered theatrical cosmetics and constructions of race and ethnicity. Each of these experiences was incredibly productive, encouraging me to think in new ways about the complex and longstanding relationship between beauty and recipes. 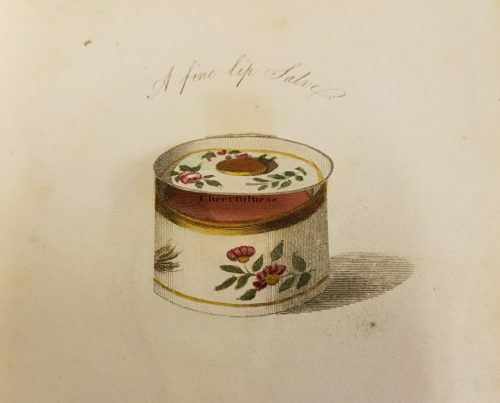 We know that you’re currently at work on a book about Victorian entrepreneurs in England’s early beauty industry (see Jess’s previous posts on Theatrical Cosmetics and Making Scents) How have recipes figured into this book project? Recipes play an important role in the book in two key ways. First, the book charts a pivotal shift, around the mid-nineteenth century, from home production of beauty remedies to a growing reliance on commercial goods. British beauty brokers had to compete with time-honoured traditions of crafting one’s own hair dyes, face washes, and depilatories. We have a rich body of private and published recipes reflecting these practices, which show the extent to which men and women depended on homemade beauty production in this time. By the mid-century, a burgeoning commercial industry began to offer alternatives to these home remedies. This wasn’t a straightforward shift, though, and a second way that recipes feature is in the widespread distrust of commercial beauty remedies. Adulteration was a serious concern for Victorian consumers, and the beauty business was often criticized for promoting dangerous or worthless wares. Commercial providers sometimes publicized their ingredients in an attempt to allay concerns, but these recipes weren’t always accurate. 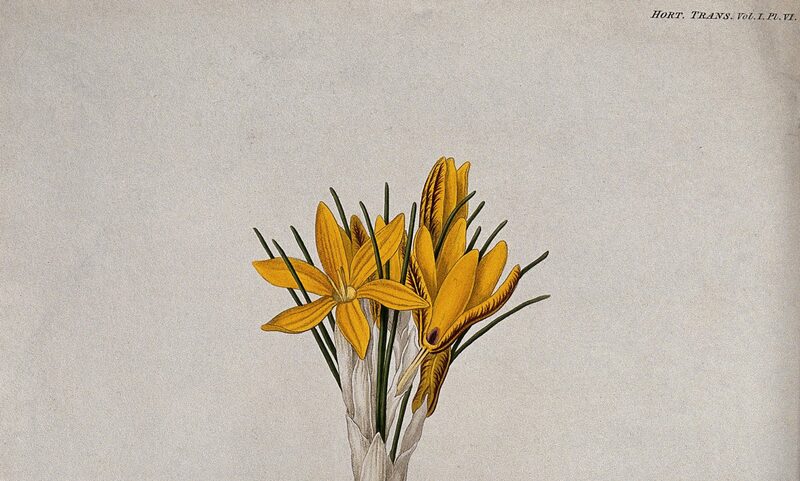 For example, the notorious Sarah “Madame Rachel” Leverson garnered attention in the 1860s for services like her “Arabian Baths.” Purportedly featuring “pure extracts of the liquid of flowers, choice and rare herbs,” the Baths turned out to be “little else than bran and water.” The accuracy of recipes was subsequently central to the reputation and trustworthiness of beauty businesspeople, a central theme of my book. As a researcher, what has been your favorite recipe to use – and why? My favourite “recipes” appear in a lovely little beauty manual held in the Bodleian Libraries’ incredible John Johnson Collection: The Toilet, printed by Stacey Grimaldi in 1821. Its table of contents lists wares like “Best White Paint” and “Superior Rouge,” echoing other beauty manuals of the time. However, when you turn to that respective page, there’s no recipe for the item. Instead, there’s a pop-up illustration accompanied by a verse about feminine virtues like “Honesty,” “Humility,” and “Innocence.” While these aren’t recipes, per se, I love how the verses showcase nineteenth-century value systems underpinning Victorian beautification and specifically tensions between artificial and natural beauty. We loved your “Beauty Recipes” Series for the RP in December of 2014, which introduced our readers to the ways that cosmetics, perfumes, hair tonics, powders, and paints served as both medicines and beautifiers. What kinds of posts are you hoping to commission for the RP? I look forward to continuing the dynamic work that the blog is known for. Posts frequently highlight the global movement and exchange of recipes and the ways these reflected local power relationships; as a historian of empire, I’m especially interested in these transnational links. As a modernist, I’m excited to explore recipes in recent historical moments and especially the mid-to-late twentieth century. Finally, coming from Canada, I’m interested in highlighting local contexts, including the ways that recipes feature in Indigenous histories and scholarship. Previous PostPrevious Indigo or no indigo?